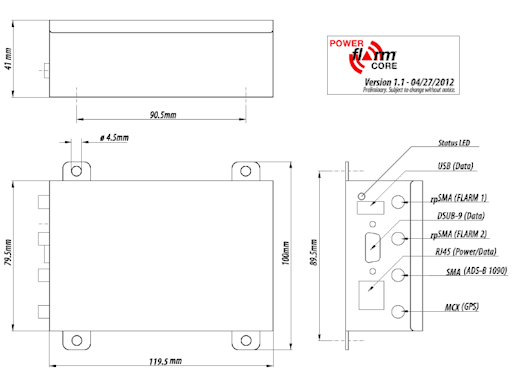 PowerFLARM® CORE is a rugged PowerFLARM® solution for fixed installation. PowerFLARM Core is installed "hidden" behind the instrument panel or in the avionics compartment and passes PowerFLARM® traffic information to third party display systems. Many specialized display solutions are available, additionally nearly all leading Moving-Map Systems are capable of displaying PowerFLARM® Data. 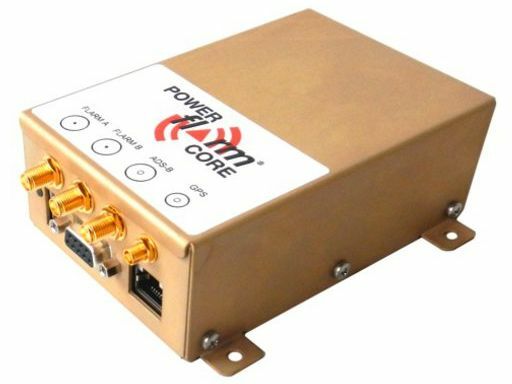 PowerFLARM® Core can operate two independent FLARM® antennas and features amplified range. In contrast to normal FLARM®-systems it features enhanced range and better coverage. So it remains useful in fast aircraft and aircraft with metal fuselages.